Home / Restaurant Equipment / Commercial Ice Machines / Ice and Water Dispensers / Hoshizaki DCM-270BAH Cubelet Ice Machine / Dispenser, Air-cooled, 282 lb. Hoshizaki DCM-270BAH Cubelet Ice Machine / Dispenser, Air-cooled, 282 lb. 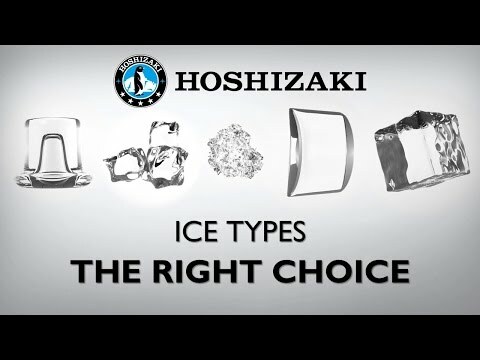 The Hoshizaki DCM-270BAH Cubelet Ice Machine / Dispenser 282 pounds of nugget-style ice cubes per day. This sanitary ice maker / dispenser features a user-friendly dispensing mechanism that allows easy to chew ice or water to be dispensed with a simple push of a button. This model features CleanCycle12, meaning every 12 hours, it performs 15 minute purge to clean itself. It is also protected by H-GUARD Plus Antimicrobial Agent. The sanitary dispenser design keeps ice fully contained until it is needed, minimizing the opportunity for cross-contamination. Can be placed on the countertop or stand (not included). Ice maker has a stainless steel bin and exterior.